Pressure washers make cleaning duties a whole lot easier. These machines work by creating a high pressure spray which is used to remove dirt mud and grime from a host of different surfaces including buildings, vans, cars and lorries, and ground surfaces. Pressure washers should be used with the utmost care and there are various safety steps you should take before you use them. We recommend that safety clothing should be used in conjunction with this type of equipment. Don’t forget we stock a range of safety clothing that is suitable to be used with pressure washers. Our staff will be able to advise you on the products to use. 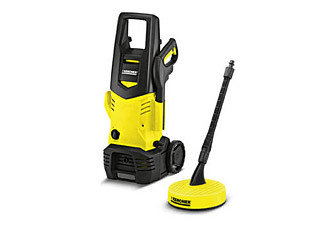 We can also service and repair all the Karcher and Stihl pressure washers we sell. Wear protective goggles to protect your eyes from dirt or objects likely to be propelled by the spray. Do not point the water jet at your skin as these are high powered machines. There are also a number of different nozzles are available for use with pressure washers and which one to choose, depends on what you need to use your pressure washer for. Most nozzles can be attached straight to the trigger gun. We stock a range of professional and domestic pressure washers by Karcher. From window vacs to high pressure hot water washers for professional use you can count on Ernest Doe to have it. Visit our shop to buy your new Karcher pressure washer now or come to one of our 19 stores to speak to a specialist. Powerful Stihl high pressure cleaners offer a quick and efficient solution to clearing dirt and grime. Using Stihl’s robust and comfortable equipment makes the cleaning process so simple and easy to do. Whether you need equipment for the home or a commercial business, we have a model to suit. 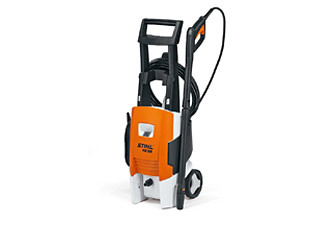 All our Stihl pressure washers come with a three year guarantee. Draper Petrol Pressure Washers are ideal for rapid cleaning of large vehicles, caravans, farm equipment, boats, and driveways. 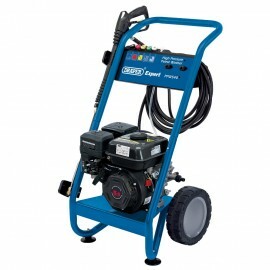 Draper petrol pressure washers are perfect for where a mains connection aren’t available. Our range of Stihl pressure washers and Karcher pressure washers are available in all of our stores, in the counties of Suffolk, Norfolk, Essex, Cambridgeshire, Kent, East Sussex, West Sussex, Surrey and Hertfordshire.